The AIFS course code is followed by the University course code. Recommended credits are shown in parentheses. Courses are subject to change at the discretion of the University of Economics. Choose up to 4 courses. Please note that students may only take one Marketing course. The subject offers an overview of entrepreneurship and develops the understanding of specific entrepreneurial situations. It supports entrepreneurial attitudes and motivation and develops skills needed for business start-up and efficient entrepreneurial approach. Provides students with the basic knowledge of international trade theories and international trade development trends in recent decades. Special attention is given to the international trade position of Central and Eastern Europe. The effect of globalization on trade around the world and the global economy is an important part of the course. The objective of the course is to provide an understanding of both the key features of foreign exchange markets and the actual problems of multinational corporations within an environment of free flows of foreign capital and floating exchange rates. Outlines Czech history and its connections with European developments. Attention will be given to the way in which history is reflected in Czech arts and literature, as arts and literature have often contributed significantly to the political life of the country. The course will also show the important role of music in the cultural life of this nation. Introduces students to company strategy and management in an international context. Based on practical examples, this course gives students the basic knowledge and knowhow to deal with strategic questions regarding business development in an international context. This course cannot be taken together with course IP_314 International Management. Aims to deepen understanding of the activities associated with MNC. Students will study organizational structures, managerial philosophy in host countries and techniques for increase of added value within multinational production and business chains and methods of managing international teams. This course cannot be taken together with course IP_312 International Strategy. Introduces students to the practical aspects of product/brand marketing and to the specific role of “product/brand manager” in the company. The main pillar of the course is a marketing plan, its use in brand management and its implementation in the strategic management of the company. Reviews various applications of marketing concepts within the continuously changing environments in Central and Eastern European markets. Focusing on customer relationship management, this course will explore product/service development, promotional techniques, pricing strategies, distribution alternatives, and marketing on the Internet. Provides an integrated overview of the different forms of marketing communications (advertising, direct marketing and online communication, public relations, sales promotion, and personal selling). The course focuses on their functions, theoretical background and practical applications. This course will focus on cooperation at the international level, with focus on international (intergovernmental) organizations (IOs), their origins, powers and responsibilities. Fundamentals of public international law and the legal background of the IOs will be presented. This course deals with European security architecture, predominantly by focusing on relevant international security organizations, security issues linked with European neighboring regions, and current security challenges. The aim is to provide an in-depth understanding of European security architecture by focusing on both key security institutions and key issues, such as terrorism, migration, cyber defense etc., which have direct ramifications for European security. The very existence of the European Union and its radical enlargement in the first decade of the 21st century is becoming one of the defining events of today. This course will focus on different aspects of the European integration process throughout its history, present and future. Introduces International Relations (IR) and allows better understanding of the IR framework, concepts, context and substantive issues. It underlines European perspectives and the role of the European Union in IR. The course is aimed to acquire knowledge of basic concepts of psychology and sociology in organization and links among them with respect to their application in management. The course is also focusing on different approaches to psychology of individuals, motivation theories and approaches to psychology of personalities. In a competitive world, practical experience is an invaluable addition to classroom learning. Students in Prague may take a 3-credit International Internship, offered and accredited by Richmond, the American International University in London. Richmond is an independent, non-profit international university of liberal arts and professional studies with a student population of approximately 1,500. It is accredited by the Commission on Higher Education of the Middle States Association of Colleges and Schools. Students will receive credit from Richmond for the internship course. In addition to the internship, students select up to 4 courses from the Central and Eastern European Studies Program (CESP) at the University of Economics. The International Internship provides vital insights into a career field, experience in the global workplace, practical exposure to demands of specific jobs and development of professional and personal skills. It also provides a valuable perspective on Czech culture and the opportunity to interact with local people and experience other approaches and viewpoints in the workplace. 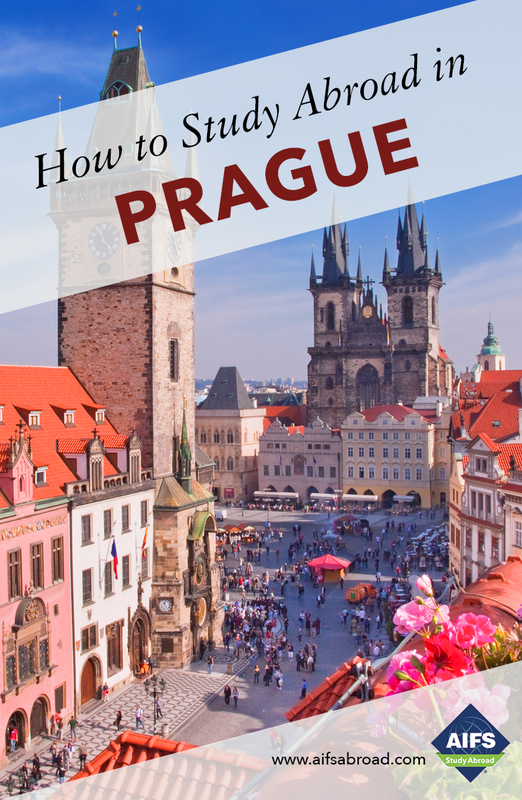 The Prague internship aims to provide students from all disciplines and majors with the intellectual, professional, and personal skills that will enable them to function well in a culturally diverse working environment in all key job sectors. Internship assessments have been designed to help the student reflect on the skills they are learning and the benefits gained from the internship experience, and also to help them determine if their current career goals are the correct fit for them. All internships are supervised by faculty, who grade students’ coursework and who work closely with each student to ensure that the internship experience is successful.